On this, the 15th day of May, 2012, I have seen the future of web hosting. I think (hope?) 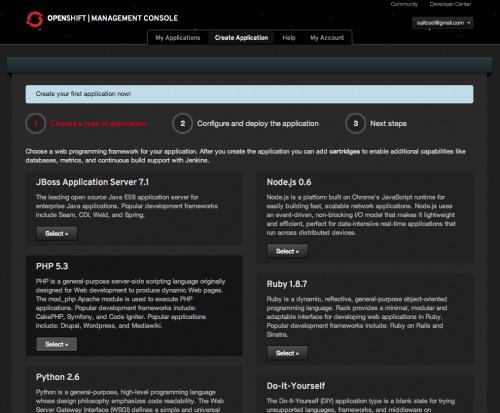 it looks something like OpenShift. While browsing HackerNews this morning, I came across this link to OpenShift, a “cloud-centric” web/app host from Red Hat. I had a look. I liked what I saw. I’ll run through what I did this morning—install WordPress—in about 5 minutes. 5. Download WordPress into the php folder that comes after you’ve cloned the empty application (ie: /php is your public web folder). 8. 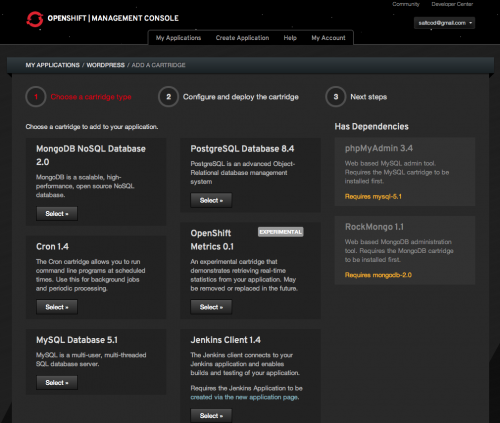 Add a mysql ‘cartridge’ to your application. Make note of the username/password/url info after you add the cartridge! You’ll need that info soon. 8. Visit your address, under the ‘Accessing your application’ area of the welcome screen to go through the normal WordPress install. 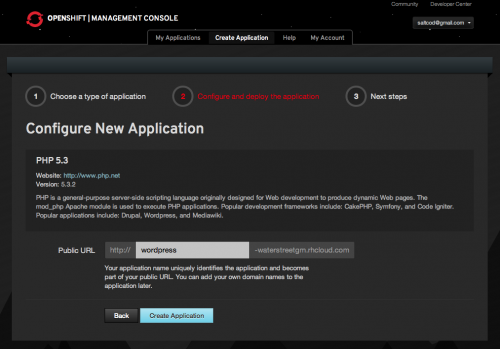 In short: Create a new application in OpenShift, download, commit and push WordPress up to your OpenShift account, install WordPress. How about that. There’s obviously more to the story than that—hooking up your own domain name, configuring a cache system, etc…but the basics are looking pretty impressive. I thought this post was about the future? 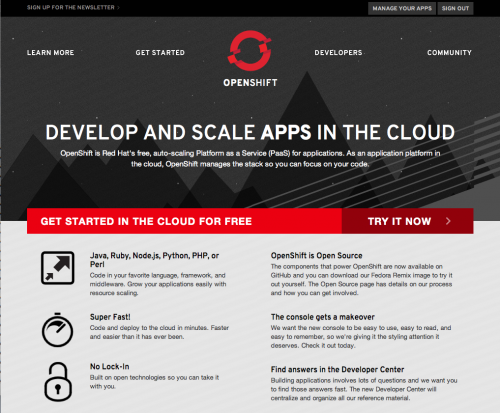 While I have no idea what OpenShift is “up to” — they haven’t yet published a pricing model — I really think that this is the future of web hosting. 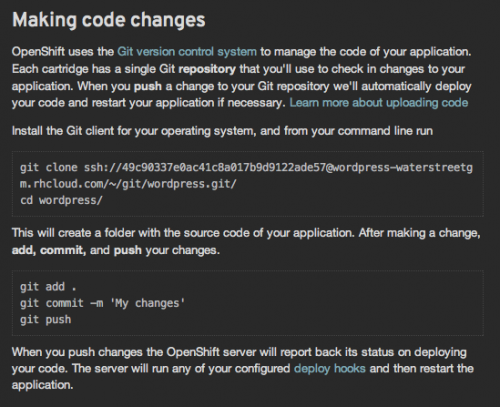 An easy, cloud-based, scalable solution, centered around a workflow with Git. Welcome to the future. I hope. ps: My WordPress install was blazing, blazing fast.